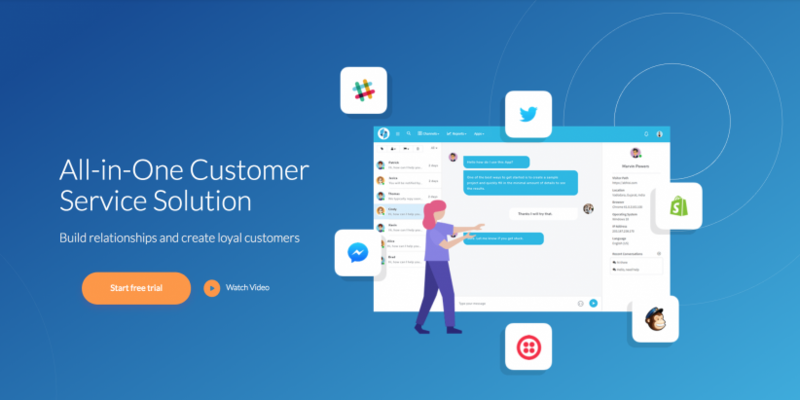 All-in-One Customer Service Solution: Build relationships and create loyal customers. Why Do You Need Abhisi? It eliminates the cost and hassle of using multiple half-baked products. 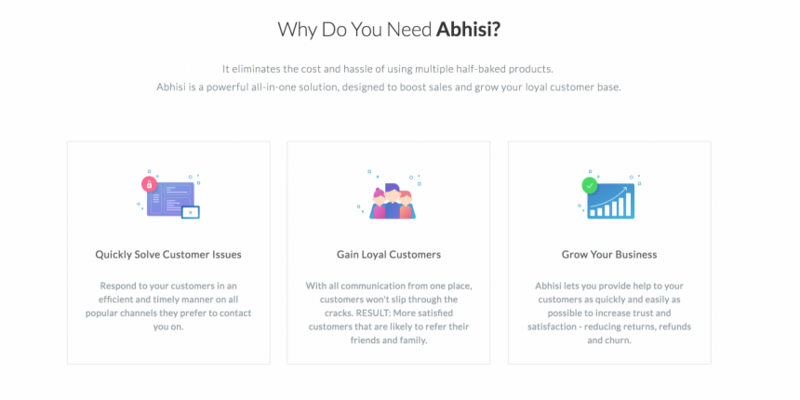 Abhisi is a powerful all-in-one solution, designed to boost sales and grow your loyal customer base. Everything you need to help your customers - from sales to support. Zero Setup: There is nothing to install or setup on your server. Simply redirect your support emails to Abhisi and you're on Cloud 9. Use Any Device: Answer support requests anytime, using any device and from anywhere on the planet. Provide 24/7 Service: Abhisi Help Docs give your customers a self service helping hand anytime 24/7. That's freedom for you and your customers! Valuable Reports: Track everything: average response time, number of customers helped, replies per customer - just to name a few. 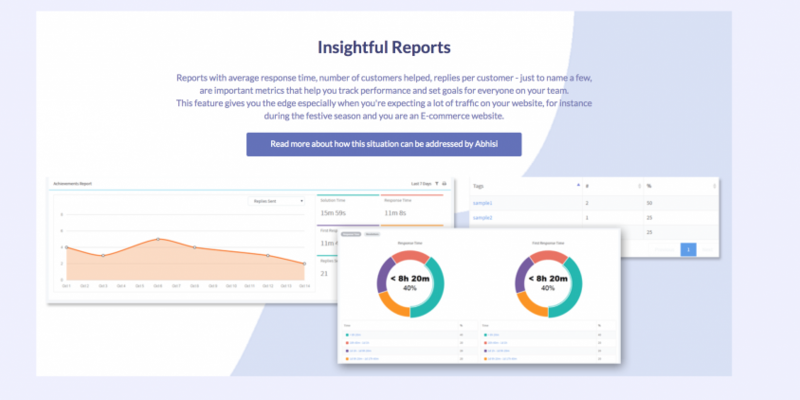 Real-time data to help everyone on your team. 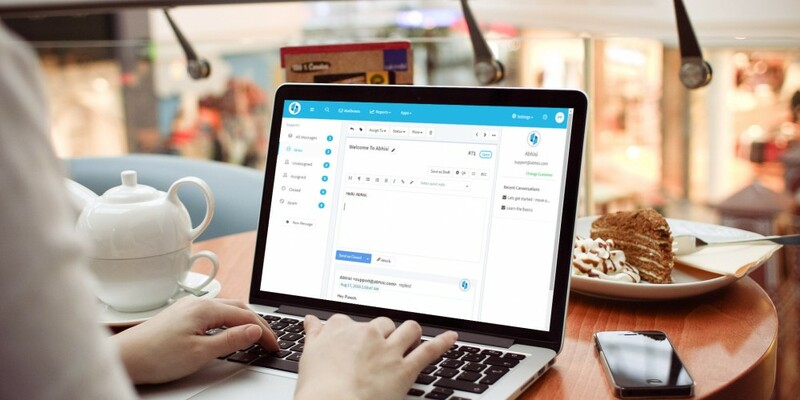 Quick Replies: With quick and incredibly powerful predefined replies, support answers will require no more than a few mouse clicks. Time is now on your side. Cover All Bases: Let your customers contact you with what they feel comfortable: Email, Chat, Twitter, Facebook, Messenger, SMS, Help Docs, Phone. Automation Magic: Intelligent processing can handle message replies, assignments to team members, sending notifications and message tagging. Automatically. Incredible Reliability: Abhisi uses Microsoft's massive Azure infrastructure so your support system will be fast, secure and reliable... with a guaranteed availability of 99.99%. * Businesses use Abhisi to improve customer relationships. * Trusted. Reliable. Hassle-free. Abhisi is known to increase efficiency up to 80%.